In 2015, Beijing declared its plans to dominate the world’s electric car industry by the year 2025. In 2016, China sold half a million electric vehicles, making it by far the world’s biggest market. In contrast, manufacturers in the world’s second largest market, the United States, sold just 155,000. China’s electric vehicles are manufactured overwhelmingly by locally owned producers, not foreign joint ventures, and they are based on Chinese technologies. 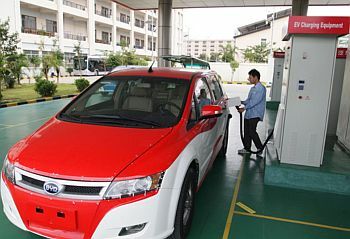 Last year China’s leading electric vehicle maker, Shenzhen-based BYD, turned out 100,000 cars. The leader in the US, Tesla, managed to sell 76,000 into its home market. The Chinese government has been offering EV buyers major subsidies worth up to $15,000 per vehicle. China is reported to have some 150,000 to 170,000 electric vehicle charging points, the most in the world. By contrast there are more than 30,000 in the Netherlands, 20,000 in Germany, 16,000 in tiny Netherlands, and 13,500 in the UK. In the U.S., roughly the same size as China geographically, there are 16,000. So, global fleets must be rushing all over themselves to take part in this transformation in China, right? Well, no, actually. According to the global leasing companies contacted for this column, it seems that to date there has been very little, if any participation in the Chinese EV market by global fleets. Why? Three big reasons. EV license plates are difficult to get. In China, a car buyer must be approved by a city government for one of a number of license plates that is limited each year. EV plates are free, while plates for conventionally fueled vehicles can cost the equivalent of thousands of dollars, sometimes more than the price of the vehicle. Demand for EVs has caused the cities’ allotted quotas to vastly oversubscribed, resulting in long waits for license plate approval. In Beijing, for example, observers said the wait for some could extend into 2019. 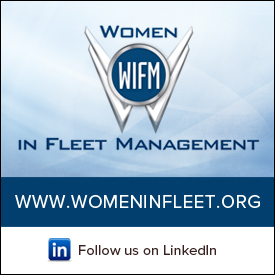 Global fleet management companies contacted for this article report they have yet to receive approval for EV license plates, and don’t know when they will. China’s charging infrastructure isn’t user friendly. Despite the big numbers, EV owners find the country’s charging infrastructure inconvenient, beset by several problems. First, they’re often located on city fringes and difficult to find, while EV drivers are clustered toward city centers. Second, there isn’t a standard for charging heads, and with 169 different makes of EVs, many drivers find few matches for their vehicles. Thirdly, most stations are of the slow-charging variety, which means it may take up to eight hours or more to fully recharge a vehicle. Low-quality vehicles. Industry observer say that, for the most part, Chinese EVs are of lower quality than available in Western Europe and Japan. This refers to build quality, reliability, range and safety. This may be rectified by announced and hoped-for joint ventures between Chinese manufactures and foreign OEMs — including Ford, Mercedes, BMW, Honda and Toyota – to build a new generation of EVs. Fleets shouldn’t expect to see these vehicles, however, for several years at least, and it’s unclear whether they will be the equals in quality of those made for the OEM’s domestic markets. China’s government intends to overcome all of these obstacles, because it sees EV technology as part of its overall plan to become the world’s dominant economy. Whether it will solve its problems and how long that takes, multinational fleets can be assured that for the foreseeable future they aren’t missing the EV party in China. Fleet Logistics CEO Dr Jörg Löffler: Diesel Decline and Increased Mobility Are Key Trends for 2018Can Your Next Car be a Smartphone on Wheels?